At Goldhill Centre, Your Woul–which, according to one of my friends, has been around for a decade–has rebranded to Ho Rang I when the son took over the business from his Korean mother. With the rebranding, they touched up the facade and added craft beer to the menu. They also have a homemade makkeoli ($40). Ho Rang I means “tiger,” and this ferocity is meant to attract the eyes of a younger crowd. Get the joke? The I of the “Ho Rang I”? However, even with the updated look of the restaurant, the menu is persistently traditional. 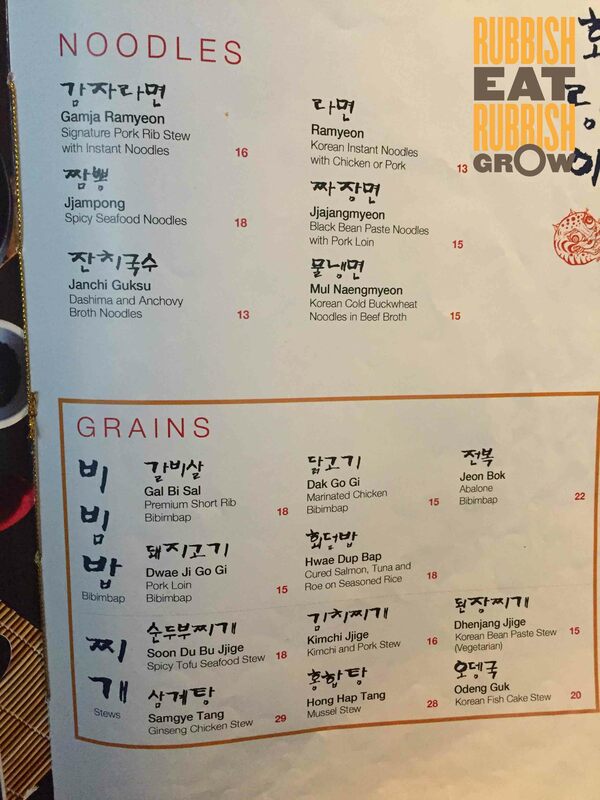 You’ll find the most popular and well-known Korean dishes on the menu. 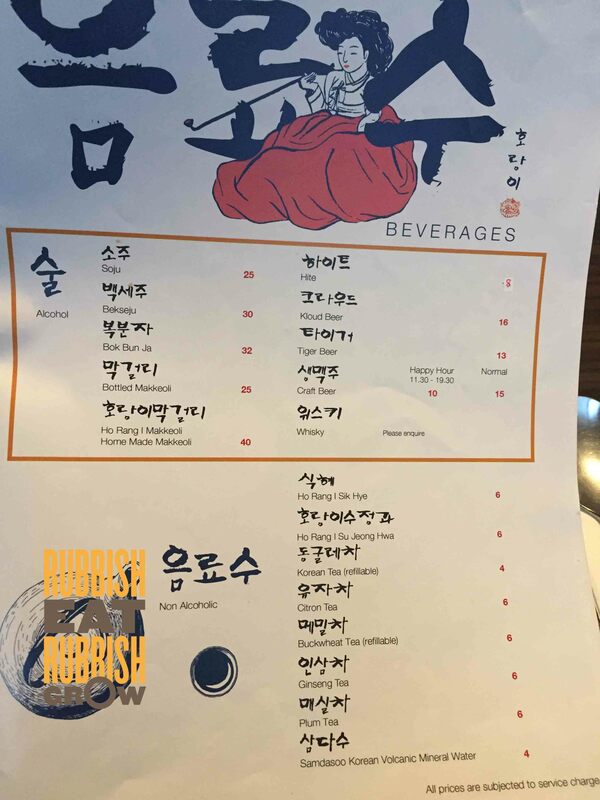 To add to the traditional touch, the servers are Koreans, including two ajumma. The lunch sets start at an affordable $12++. And for dinner, we ordered dishes with the word “Signature” in the names, and luckily, there are only 3 dishes. The meal started with 6 banchan (side dishes), which are very tasty, especially the kimchi. 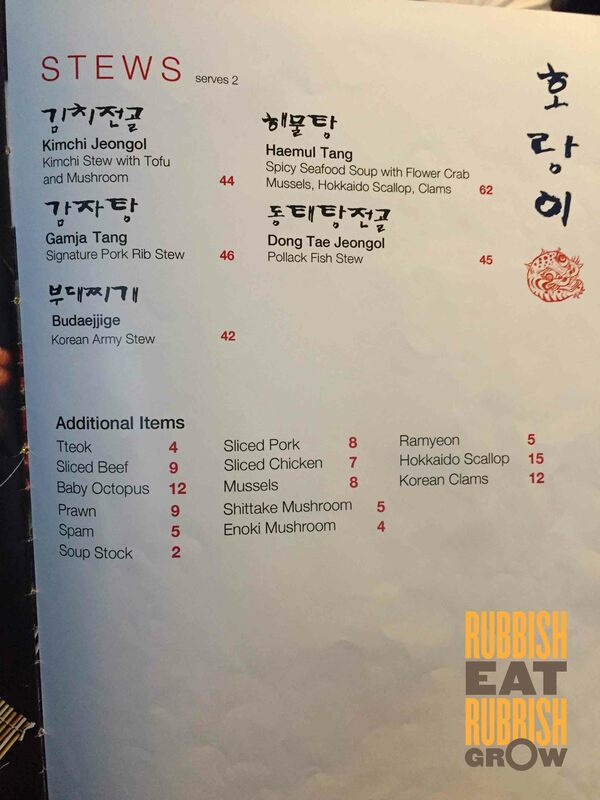 I always believe that kimchi is a good gauge of a Korean restaurant’s standards; if the kimchi is good, the Korean restaurant wouldn’t be terrible. Here, the kimchi is crisp and mild, not too spicy or too fermented, suiting everyone’s tastebuds. I heaved a sigh of relief and exclaimed, “See. This is how seafood pancake ($22) should be.” Last week, we ate at K-Tower which localizes the pancake to a crisp. While K-Tower’s rendition is very likeable, it doesn’t scratch the itch of eating traditional Korean pancake. The pancake at Ho Rang I is fluffy, thick with starch, and crispy on the outside. Everyone loves it. I like it because underneath the sweetness, there is a potent taste of soy bean, which is the foundation of many Korean dishes. I also like the thick, gooey broth and the tender pork rib. But I’d prefer a few small pork ribs to a big bone. I’m not a dog, ok? 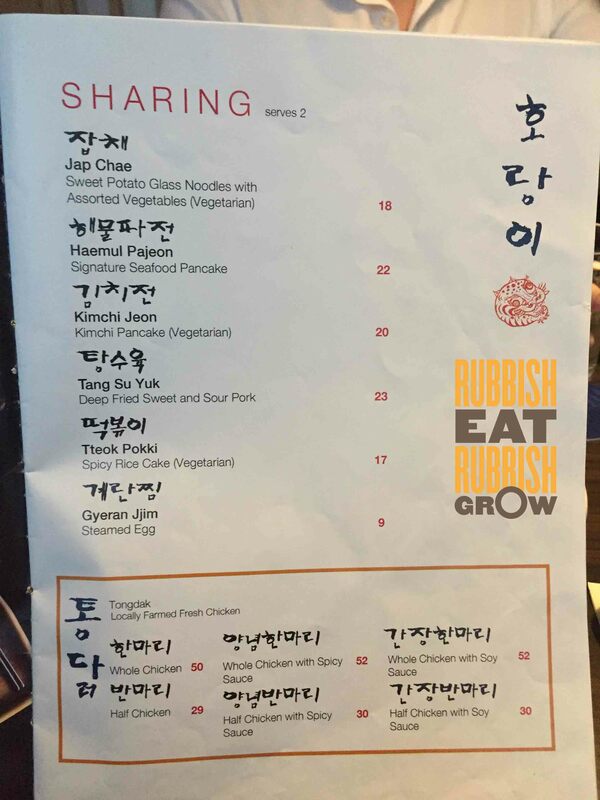 My friend said her friend recommended the jap chae ($18). WHY? 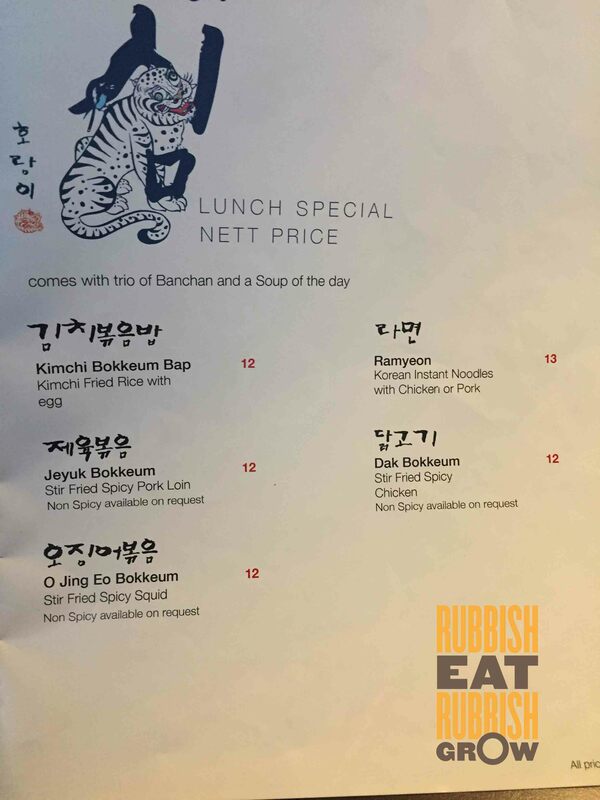 It is expensive for a small bowl, and it is served warm (I prefer chilled jap chae). The sweet potato glass noodles have stuck together, making it lumpy. The fried chicken ($29 half, $50 whole) uses fresh, not frozen, chicken from a local farm. It is not bad, but the salt is sprayed unevenly, and one portion of the chicken is saltier than others. The army stew ($42) comes with a choice of chicken, beef, or pork. 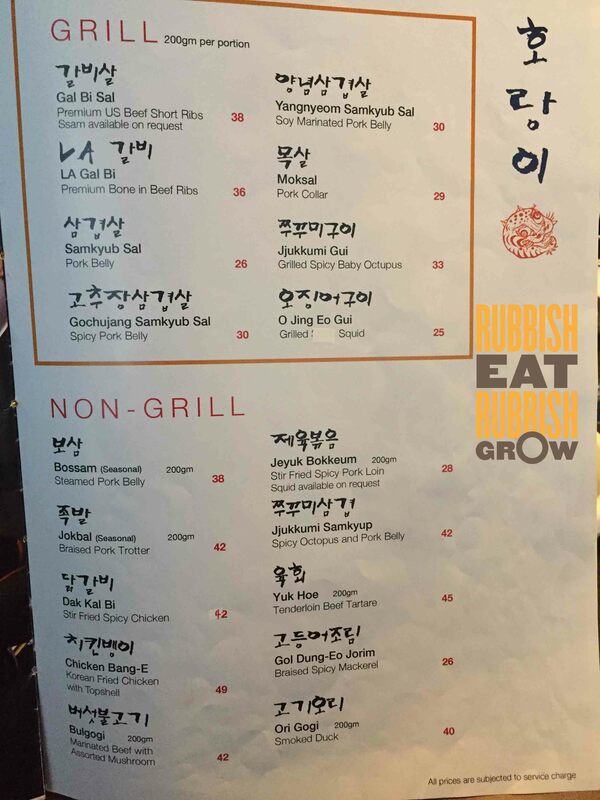 The portion of the meat is more generous than other restaurants’. At first the broth is watery, but as it cooks, the broth thickens until it is of the Korean traditional standards. Not too bad, but there are other places, such as Kko Kko Nara and 2D1N, that do the army stew better. The food here is comforting and homely and authentic. Bonus: We were given a private room (any party of 4 and above can request for a private room with no extra charge), and the privacy makes the food even more enjoyable. We paid $145 for four persons.